When starting in synthesis is can be difficult to really understand the meaning of each part found in your synth. It doesn’t matter if the synth is real analogue, digital or a VST soft synth, the synthesis concepts all starts from the same basics. In this series of videos I go through the basic parts of synthesis using different models: ZEEON (iPad) Roland JP-8000 (Virtual analogue), Waldorf Rocket (VA oscillator + analogue Filter), Novation BassStationII (analogue) and the Roland A-01 (8 bit Virtual analogue). Don’t hesitate to write comments if it’s not clear. 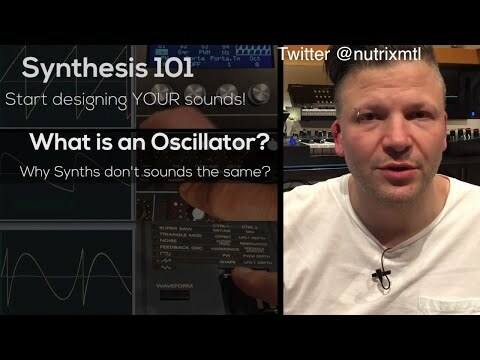 In this video I talk about oscillators and demo the Wave shapes of different synths. The wave form of a synth is the first direct link with it’s audio signature. It’s the raw sound from which your you sculpt the sound you want. Great vid sir. I’m just trying to learn all this to help my son as he starts his journey. Thanks for the basics. It is awesome!